Consumers Union, along with other groups, urges the New York Dept. of Labor to adopt strong payroll card protections. 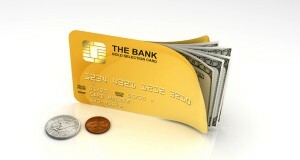 As more employers move to pay their employees electronically, more workers are receiving their wages on a payroll card. Payroll cards are debit cards that look and work much like a debit cards linked to a personal bank account, but the money linked to a payroll card does not sit in an individual bank account in the employee’s name. Instead the employer arranges a program with a third-party vendor to provide payroll card services, and that vendor sets up a pooled account with a bank to hold the funds and issue payroll cards to employees. Some workers may find payroll cards a convenient noncash option for receiving wages. However, payroll cards can come with usage fees that eat into the funds— possibly in violation of relevant labor laws. Some employees may be given payroll cards as the default option for receiving wages instead of being presented with different choices for how to be paid. These restrictions on employee choice could run afoul of consumer protection laws. The New York Department of Labor recently proposed rules to protect workers from these types of payroll card problems. Consumers Union joined with Consumer Action, National Consumer Law Center (on behalf of its low income clients), National Council of La Raza (NCLR), National People’s Action and the Public Justice Center to urge the DOL to adopt these rules, while offering suggestions to make them even better. Read our letter here.